The credit rating of financially distressed homeowners defaulting on their mortgage payments will certainly take a hit. Whether their residential property is foreclosed or underwent a short sale. With a short sale, however, it is quite possible to minimize its adverse impact on your credit score. You may even be able to preserve your credit under certain conditions. How is this so? The reason is simple. In a short sale, you chose to actively participate in resolving the lender’s problem loan (yours!). Your act of good faith may convince the lender to help soften the short sales’ damage to your credit score. Basically, lenders would likewise favor a short sale because they avoid the foreclosure process. Which is typically drawn out, and could be costly too on their part. In addition, short sales help a lender’s numbers as the property in question won’t be listed as a foreclosure case. With a short sale, you may also be able to persuade the lender to accept it as “payment in full without pursuit of any deficiency judgment”. This is possible because in return you have the leverage of being able to maintain the house as well as possible and show the home to a potential buyer. To use short sale to save credit, you need to have the short sale approved by the lender first. This means that you need to submit a number of documents including an authorization letter permitting the lender to discuss with a potential agent or buyer the mortgage situation of your property. You will also have to file a hardship letter showing the dire financial straits you’re in. Your mortgage payment backlog have to be already 60‒90 days. You need to establish that you don’t have any resources, such as cash, savings, bonds, etc. that will enable you to reduce or catch up with your debt. Be aware too of pitfalls in lender approval of a short sale. An offer for a short sale won’t be accepted by a lender until you’re far behind in mortgage payments and you’ve been issued a notice of default. A short sale offer won’t progress too if you’ve filed for bankruptcy. 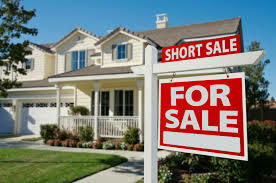 Lenders in general will reject a short sale because it is deemed as a collection activity which is prohibited in bankruptcies. Remember also that lenders typically will not approve a short sale until you have a declared a statement of the value of the property and you already a purchase offer or contract. Another prerequisite is a settlement statement or net sheet detailing exactly how much the lender would get and the loss it will incur as a result of a short sale.